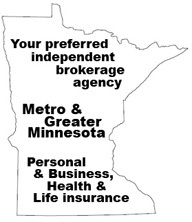 Harley Albers has been in the insurance business since 1970. He had started with a major Eastern US company and as changes in the insurance industry occurred, in 1979 he made the decision to become an Independent Agent-Broker. In 2000, Janelle Koelln joined the agency as a licensed agent. Albers Insurance has since expanded and better able to serve our clients. By searching out the best products and companies, we can assist our clients based on their needs, interests and affordability. We encourage our clients to call our office with any future questions or concerns that they may encounter and whether or not they enroll in a plan directly with a company or through our agency the cost remains the same to you. What you will get though, through our office is more immediate, personalized support.